These last 12 months have been a creative year of reckoning. A year ago this month I finally released Borrowed Trouble, which had been recorded in 2012, and stuck in limbo for nearly 5 years. The album takes many of the musical and lyrical themes of my earlier solo work a little further, utilizing a room full of seriously top-notch Nashville musicians, including a horn section and strings – arranged by Mike Leech whose credits include Elvis Presley, Dusty Springfield, Dobie Gray, and Merle Haggard. 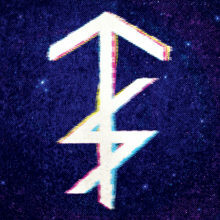 Also in December, I released Solar Twin‘s 2nd single, Black Sky Revisited – which was a way of clueing people into the new sounds I was working on while at about the halfway point of recording the debut Solar Twin album. In May of 2017, I released the 3rd Solar Twin single, The Big Sleep, to coincide with the airing of Seattle’s KOMO News documentary The Demon at the Door, directed by Eric Johnson of which I composed the instrumental score. The Big Sleep was featured in the closing credits of the film. 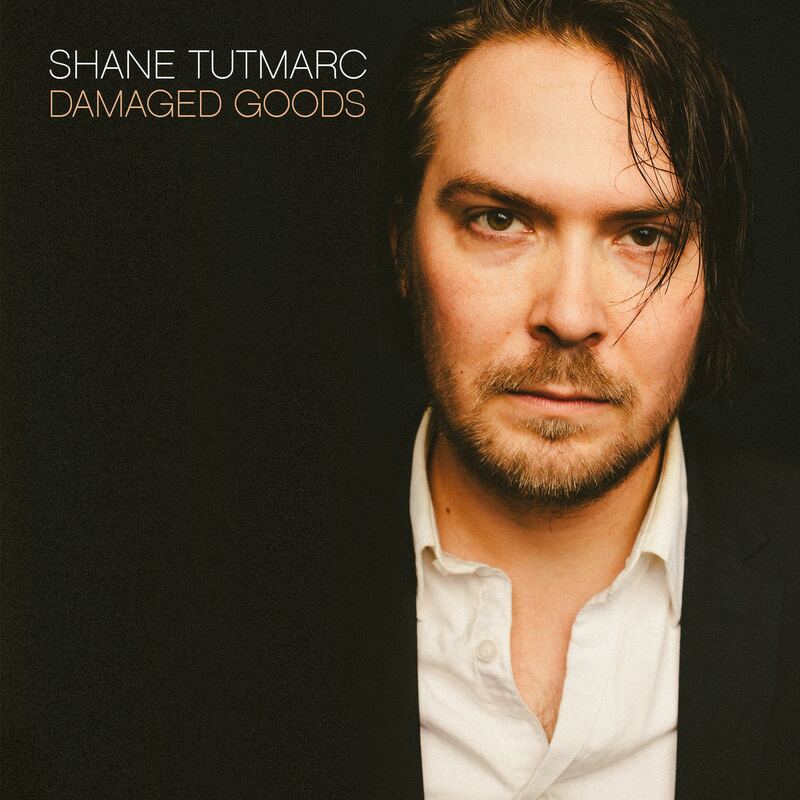 In June, the Damaged Goods album was released, which features all 11 single-a-month songs that I released in 2015, along with 3 previously unreleased songs including the title track which was recorded at the same time as The Big Sleep. In October, after nearly two years working on Solar Twin’s debut album, I released Pink Noise. To me, this is one of my proudest achievements as an artist. It not only feels like a giant step forward creatively, but it really feels like the culmination of my lifelong exploration of music. To close this “year of reckoning” out, I resurrected my old Seattle project Dolour for the first time in a decade, with a pairing of new original Christmas songs, All Winter Long. The title-track was something I had started writing back in the Suburbiac/New Old Friends days, but recently returned to and finished. And Christmas With My Baby was written around Christmastime last year, and felt more like a Dolour song than anything I’d written in a decade, and that really led to the single coming out as a Dolour release. And to make it a proper Dolour release, I was so happy to get Jason Holstrom on ukulele on the song! He was a huge part of the New Old Friends and Years and the Wilderness albums, as well as having a hand in Suburbiac and the Traveling Mercies albums. It’s too early to tell if Dolour will become an active project again, but I do have plans for some archival releases in the coming year, as there is still so much unreleased Dolour music in the vaults. My music is my spiritual journey, and it means so much to me to connect with other people through my music. Thank you to everyone who has been part of this journey with me. This music is how I relate to the world and make sense of life, and if it brings you joy or helps you in any way through your journey – that makes my heart happy. 1. What does the album’s title mean as a representation of the album as a whole? Damaged Goods is a band of misfits and loners. Songs that refused to play nice with other songs. And the title “Damaged Goods” seemed to sum up this batch of songs perfectly. 2. How is it similar and then how is it different from your previous records, both solo and with other bands? With most of my previous albums I’ve tried to reign in the variety of songs I include. I’m usually aiming at a theme lyrically and musically that feels like an “album statement.” But that is not the case with Damaged Goods whatsoever. If I were to compare this album to anything I’ve done in the past, I think the closest would be Dolour‘s third album, New Old Friends (2004). They both have a wide variety of songs that all stand on their own, and there’s no production tone or theme that any of the songs are forced to adhere to. They both feel like a killer playlist of songs on shuffle, as opposed to an album where there is a set mood that carries through the whole thing. 3. What is the most significant lyric on this album to you? I’m never good with choosing favorites. There’s special lines in every song for me. And it doesn’t show much humility on my part, but if I had to choose something, I might say “why’s everything bad taste better than it should” from Poison Apple, or “I’d rather live in my head, sometimes I’d rather be dead than faking it” from the title-track, or “it’s a secret passed lip to lip, it’s a mystery I never could get, the answer must be deeper than blood, what is this love” from What is This Love? But if you asked me tomorrow, I’d have three different answers for you. 4. Did you go about this one differently than you did your last album? Yeah, most albums I’ve gone into the studio with a batch of songs and recorded them all within a short period of time. With this album, the songs are from various different periods throughout the last decade, and they were recorded at a number of different places, with different players and collaborators. It’s the only album I’ve done this way, except for Dolour’s New Old Friends – but even that record was done over the course of maybe 2 years – versus 10 years. 5. What did you do differently on this record that you haven’t done on previous records? Everything. When the idea of doing a single-a-month came up, I knew I had a ton of songs that could work for a series like this, but I really didn’t know what songs I would include, and had no idea of what songs I’d end up writing during the series as well. It was very much a choose-your-own-adventure approach every month. So I think there is an immediacy to this album, that would be impossible to match doing a more traditional album recording. 6. Did the record come out how you heard it in your head? 7. What surprised you about the record that you didn’t envision? I guess the biggest left-turn for me during the process was songs like Out of the Dark and I Never Said Anything. 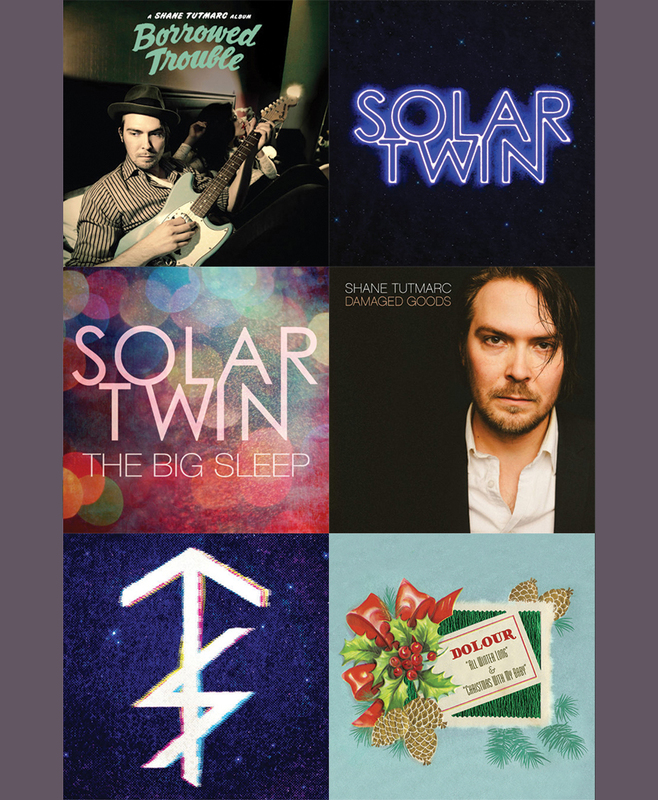 I started experimenting with more midi and electronic sounds on those songs, and they directly influenced me to start a new project, Solar Twin – which I now have a few singles out, and I’m almost done with my first full-length for. 8. What are the highlights of the record for you? Again, I don’t usually like to pick favorites. They all ended up on this album because I love these songs. But to pick a few, Out of the Dark, Suicide Weather, I Know I Should Know Better, and the title-track are songs I’m really glad to have out there. 9. How do you think this record fits in in the musical landscape of today? That’s a tough question, because it implies I have an understanding of the musical landscape. Haha. But I suppose it fits in with other artists that follow their muse and don’t try to get pigeonholed into a sound to fit a certain demographic. I don’t know many artists who are as free spirited, musically, as I am. But I’m sure there are some kindred spirits out there, and I hope we can connect with this album. 10. Is there a theme or message running throughout this album? This album is a bouquet of wild flowers. They are all individuals, but maybe it’s their loner status that make them all relate. 11. How do you think the lyrics and the music work together on this album? Really well!! Haha. I suppose because they didn’t have the constraints of trying to fit a production mold, they were all able to be more free to be themselves. The music and lyrics of each song were able to go wherever they wanted, so maybe that makes them all a bit more honest. 12. How would you describe the sound of the album? I would say there’s a little bit of everything. Not a lot of artists are willing to offer this kind of variety. I’m a big Beatles fan, and albums like Revolver or the White Album have such massive variety and I’ve always admired that. You can’t pinpoint “the sound” of those albums. If you like what I do at all, you’ll never get bored, I can promise you that! 13. Being a collection of singles, how did you get the album tied together, to come through as an album, not just individual songs? Well, when it came time to sequence the album – I decided to not put them in chronological order. That would have felt a lot more like just a “collection.” i spent time putting them in an order that I hope takes you on a cool journey. Plus with the 3 bonus tracks, I didn’t want them to just feel tacked on at the end. I put them where they felt right. Opening with Damaged Goods felt like a good statement to kick off the album, and closing with Goin’ Goin’ Gone felt like a good way to sign off. 14. What bands do you think people will compare you to? Well, I guess I’ve already compared myself to The Beatles! Haha. I have no idea. That’s a thought that maybe should cross my mind more often, but I never think about that. Who do you think? 15. What are your goals with this record? The single-a-month series was an experiment to give people a chance to follow my music in a more intimate way. But now with this expanded album release, I hope this exposes the scope of my musical output, and maybe lead folks to explore all the different directions I’ve gone over the nearly two decades I’ve been recording. There are ties to my early Dolour years with songs like Suicide Weather or the title-track, there’s bits of the Traveling Mercies vibe with The Basement in Nashville or Til Daddy Gets Paid, and there’s songs that foreshadowed my latest project Solar Twin, like Out of the Dark and I Never Said Anything. 16. Anything you want to point out/discuss that I left out? This month marks 10 years since the release of the first Shane Tutmarc & The Traveling Mercies album, I’m Gonna Live the Life I Sing About in My Song. The journey began with the passing of my grandpa, Bud Tutmarc. I wrote Across The River to sort of help me through that time, and it started me down a path digging through my family’s roots in country and gospel music. After 10 years of experimental pop music with my band, Dolour, I was looking for music with more blood and guts and humanity. Music I could grow old with. I was fortunate enough to have my brother Brandon on drums and cousin Ryan on bass to help legitimize this trip through our shared family history. The scope eventually developed into a full-blown excavation of American roots, and a personal journey that led to my first trip to Nashville and my eventual move. I wrote the songs, and found the covers, in a feverish few months, and we recorded the album live to tape in one day, other than a few notable over-dubs. For such an idiosyncratic mix of country, blues, gospel, folk and garage rock, we were so surprised how well it ended up being received in our home town. The album reached #1 on KEXP’s Americana chart and #10 on the overall variety chart and NPR named it one of the “13 Great Musical Discoveries of 2007.” This album helped make me who I am today, and I will always look back warmly on this period as one full of intense light and energy. For more information about this album and era, check out this Seattle Times article with includes interview quotes. After last year’s break-neck schedule of putting out a single-a-month, I didn’t expect to get even more music out this year. 2016 started out with pouring my energy into a new project, Solar Twin. In September, the first single from the project was released with Slow Motion coming out on my birthday. I’m getting a couple more songs mixed for release very soon. I hope to be recording a full-length Solar Twin album in the first half of 2017. 2016 also marked the 15th anniversary of Dolour’s first album, Waiting for a World War. Dolour’s debut hadn’t been available for download or stream for over a decade, and New Old Friends (Dolour’s third album) has been off digital formats for a number of years, so I took the anniversary year as a chance to get Dolour’s full catalog back online. This is just the beginning of an Dolour archives project I plan to continue next year, which will see more rarities and radio performances released. There was also an album that had never been given a proper release which has finally seen the light of day this week. Borrowed Trouble was recorded over the course of 2012-2013, but ended up being shelved for various reasons. It’s one of the albums I’m most proud of, and it makes a perfect companion to Shouting at a Silent Sky. With Dolour’s catalog, and my solo catalog now all available for the first time – I’m more ready than ever to explore the future with Solar Twin and see where this goes. Dolour’s long out-of-print debut album “Waiting For A World War” celebrates it’s 15th Anniversary with a full re-release. It is now available thru iTunes, Amazon, and streaming sites like Spotify. CD copies are still exclusively being sold right here. There’s nothing like your first, it’s great to have this album back out there. Here’s a little trailer for the re-release. Well I guess it’s time to spill the beans on this secret project I’ve been working on for the past 6 months or so. I’ve been waiting for the right time and now that we’ve got our first show under our belts, it’s time! I’d love to introduce you to Solar Twin. Last year’s single-a-month series was a real palette cleanser, since then I’ve been following my muse down more electronic/pop/hiphop vibes and rediscovering my love for psychedelic sounds and groovy arrangements. After a decade of exploring roots music, this feels very refreshing and very honest. For those of you who have known me since my Dolour and United State of Electronica days, it shouldn’t be too much of a surprise, and for those of you who followed last year’s single-a-month series – it’d be easy to connect the dots from songs like “Suicide Weather,” “Out of the Dark,” and “I Never Said Anything” to where I am taking my music with Solar Twin. Check out some of the live and studio clips I’ve shared via social media: Instagram, Facebook, Twitter, and Snapchat: solartwinmusic. Happy New Year! I hate how nearly every post I do on here requires an apology for my lack of updates. But, as you may already know, 2015 was a busy year for me. I released a single-a-month all year long (other than September for reasons out of my control) and I co-hosted “Date Nite,” a weekly live rock-n-roll revue in Nashville for most of the year. I played a handful of regional shows around TN and KY, as well as back home in the NW. Most of October was spent on the road (NY, NJ, and FL) playing bass with Florida-native soul singer, Kim Logan. A few other releases came out in 2015 that included songs I co-wrote with other artists. On March 24th, Seattle-based band Pacific Gold released their debut album, “Sing My Welcome Home“, which features six tunes that I co-wrote the music for. On July 20th, Chicago-based Brian McSweeney released “Love Me Down” which features, “Black Friday” and “She Says #1 (Come Back Home),” which I co-wrote the lyrics for. On October 27th, Tanya Montana Coe – who I’ve been playing guitar with for the last couple years – released her debut album, “Silver Bullet,” which I produced, co-wrote “Let My Love,” “Did I,” and “You’re Gonna Love Me,” and performed many instruments on. I’ve also directed three music videos for Tanya, the third should be out soon. I spent the winter holidays home in the NW, performing a week-long residency at Al’s Den in the Crystal Hotel in downtown Portland, OR. I’m now back in snowy Nashville preparing for upcoming regional shows as well as a trip back to the NW in April. My plan is to continue getting music videos made for the remainder of the single-a-month series (we have videos out for the first 6 songs so far), and hopefully start work on a new album in Spring/Summer. Keep checking here (and on my social media platforms) for more up-to-date news! And just today American Standard Time premiered the latest video, “Til Daddy Gets Paid,” featuring a quick run-down review of the previous singles as well. I’m looking forward to returning to my hometown of Seattle in a couple weeks to play at Conor Byrne Pub on Thursday, September 24th. It’s gonna be a special night, as it’s the eve of my birthday. But what makes it even more special to me, is sharing the stage with my old Dolour cohort Eric Howk handling the lead guitar with me. If you’re in town, be sure to catch this great night of music. I got my good friend, Billy Joe Huels (Dusty 45s) opening the night with his new trio, as well as The Demon Rind. Not to be missed!